The Power-Saving Essential SurgeArrest P7GT is one of the latest additions in APC’s line of energy conscious surge protectors designed specifically for home computer systems. In addition to the standard surge protection capabilities offered by similar products, the P7GT recognizes when your computer is powered down or in hibernation mode. Upon detecting either of these conditions, the surge protector automatically shuts off the power supply to designated peripheral devices. That sounds great in theory, but how well does it really work? As far as the basics go, the P7GT has a simple, no-frills design. With seven outlets (one “master", three “controlled", and three standard), the device offers plenty of support for most average home computer system setups. The package also includes a telephone patch cable to be used in conjunction with the in/out relay to protect your phone from power surges. Measuring 10.5" x 4.25" x 2" and weighing only 1.70 pounds, the P7GT is light enough to be easily wall mounted. The 6ft power cord for the surge protector is another plus in that it allows some “breathing" room when planning connections and arrangement of devices in your home office area. The premise of the P7GT’s power-saving design is simple. 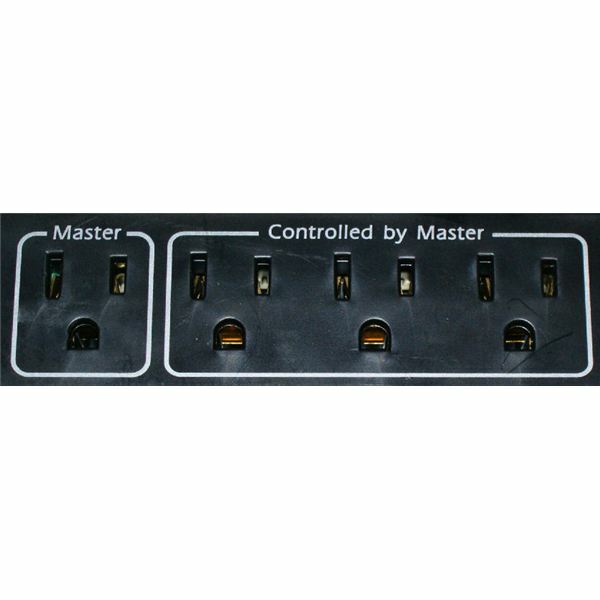 One of the seven outlets is designated as the “Master", marking where the main power cord for your PC should be plugged. Three more outlets are labeled “Controlled by Master" and should be reserved for peripherals that are only used when your computer is powered up and active. There are three additional non-controlled outlets that can be used for other standard electronic devices. The power supply of these latter three outlets will not be affected when the computer is powered down. How does it perform? I’ll admit that, in general, I am very wary of devices that claim to have power-saving capabilities. I love the theory behind the P7GT, but I was afraid that it wouldn’t work well in practice. I wasn’t so much concerned that the surge protector would fail to shut off power to the peripherals when hibernation mode was detected; rather, I was more worried that the power wouldn’t be restored fast enough when the PC did become active again. Despite my concerns, I was pleased to find that the P7GT performed exactly in the manner described by APC. For the few weeks that I have been using the surge protector, there have been no “accidental" power shut-downs, and reviving the PC from sleep mode has always resulted in an immediate power up of controlled devices. 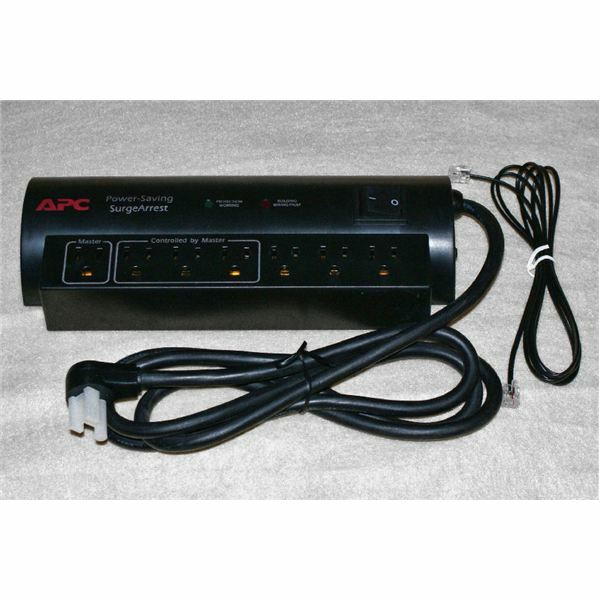 The APC Power-Saving Essential SurgeArrest P7GT has a standard list price of $34.99, but it can generally be found quite a bit cheaper than that at many online storefronts such as Amazon.com. If you’re like most people and have gotten into the habit of leaving your peripherals turned on even when not at the computer, the device could easily pay for itself, in terms of electric bill savings, within a year. Even if you’re already incredibly energy-conscious and remember to shut everything down each time you walk away from the PC, it doesn’t hurt to have this little added “backup" in place. I particularly like the fact that the power-saving capability is part of the surge protection device and, therefore, it performs two functions at once. Although the P7GT costs a bit more than other devices with similar surge protection capabilities, the energy-saving features make it a worthwhile investment. As it’s only saving a couple of dollars a month in electricity, it’s doubtful that most will notice much of a change in their monthly bill, but all those pennies do add up over time.